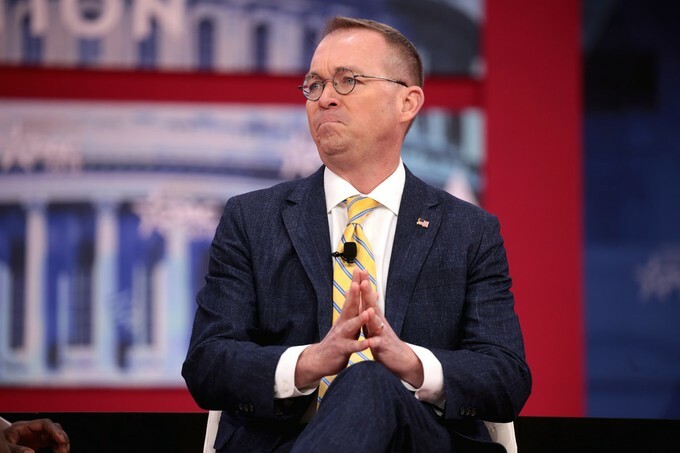 Office of Management and Budget Director Mick Mulvaney is currently moonlighting as White House Chief of Staff (or is it the other way around?) Photo courtesy of Gage Skidmore. The president’s budget request, which is legally due on the first Monday in February, will be late this year as a direct result of the government shutdown. In a normal year, we would have spent the morning busily hitting “refresh” on our browsers, looking for the release of data that would tell us the president’s priorities for the coming year. Instead, we caffeinated our way through a normal Monday morning. But that doesn’t mean that we can’t anticipate some of what will be in the president’s budget once it does come out. Analysts at the Office of Management and Budget, which puts together the president’s budget each year, were part of the shutdown and were not considered essential employees. So when the shutdown began on December 22, they put down their spreadsheets and stayed home for a month. The budget will be delayed accordingly. This will be President Trump’s third budget, and we can get some clues to what it might look like by considering his last two budgets. Both of those were characterized by massive spending increases for the military and veterans, and severe cuts for nearly everything else. It didn’t’ take long for the president to do a complete 180 and announce that he would ask for another increase in Pentagon spending, up to $750 billion. He then followed up by lying to troops in Iraq about how high a raise they were getting under the most recent military budget. It’s enough to make you crazy. Word from the Pentagon is that they were given a total spending number by the White House, but they aren’t telling what it is. Even congressional leaders don’t know. The president’s budget has political influence, but no legal authority. The real spending levels come from Congress. And this year, Congress is back in the game of needing to work out total spending levels, since the automatic budget caps of the 2011 Budget Control Act will take effect unless they pass legislation to set new spending levels. For 2020, those caps are $576 billion for the military and $542 billion for everything else, which would be a drastic cut from the negotiated 2019 levels of $647 billion and $597 billion, respectively. Legislators from both major parties object to the cuts that would be imposed by the budget caps, and past solutions have resulted from bipartisan agreements to reset the caps. Past deals have also resulted in the negotiation of parallel increases for military and non-military spending. Now, regardless of when the president makes his wishes known, Congress needs to reach a similar bipartisan agreement in a post-shutdown world.